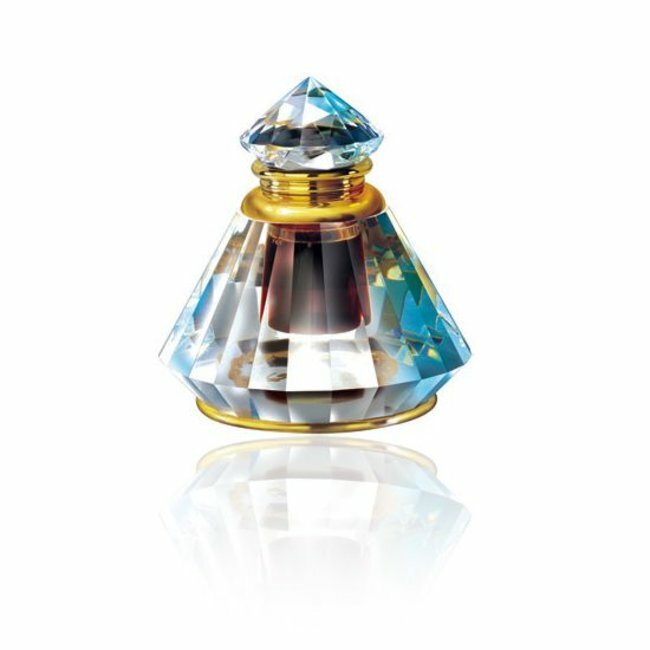 Perfume oil Romance by Rasasi - Feminine, powdery, woody, green, sweet, roses; Perfume free from alcohol Read more..
Perfume oil Romance by Rasasi is a rich floral scent with woody accents and musky notes. 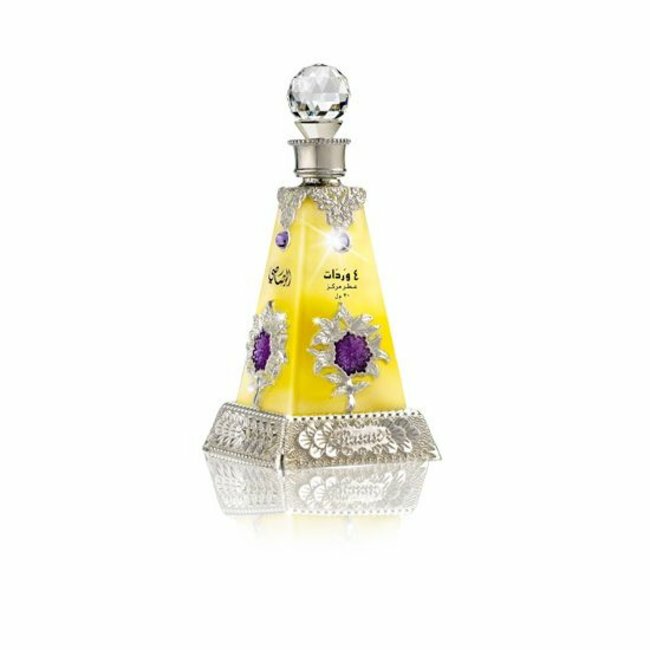 The top note opens with distinct floral scents and light green and fresh note of hyacinths, galbanum resin, Ylang-Ylang and subtle fruity notes of apricot, raspberry and peach. 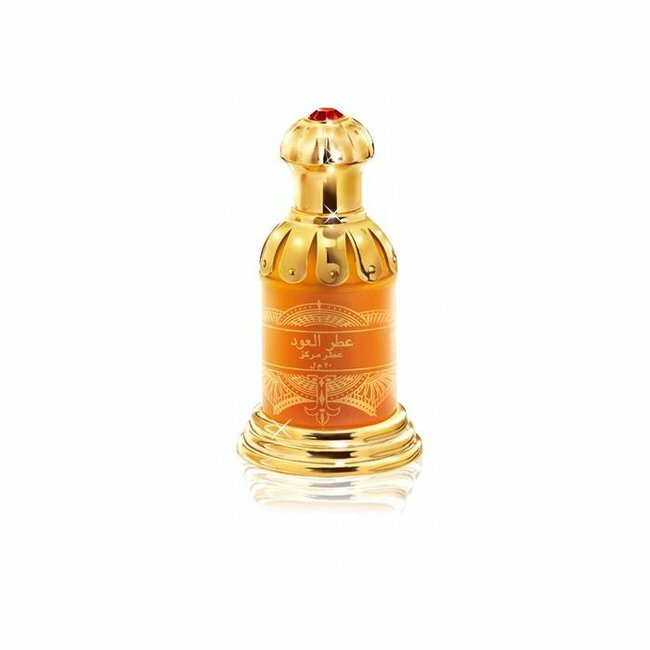 The middle note remains floral with roses and jasmine, giving the perfume warmth and depth. 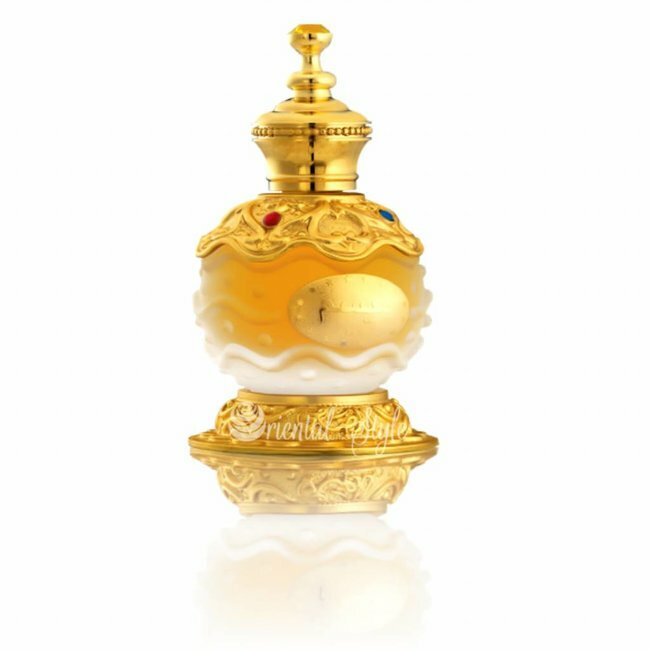 Sandalwood, amber, musk, cedar and powdery notes form the base. 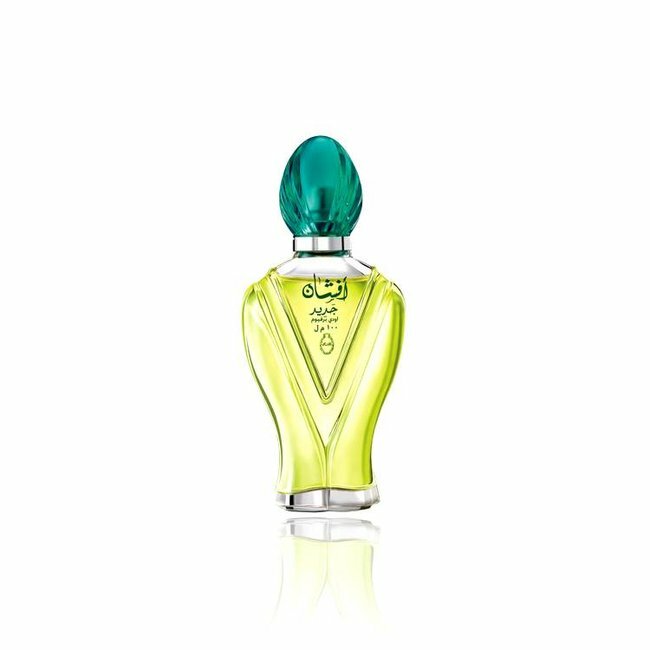 A very elegant perfume with sweet and floral notes, to which the powdery notes in the base give an extra touch. 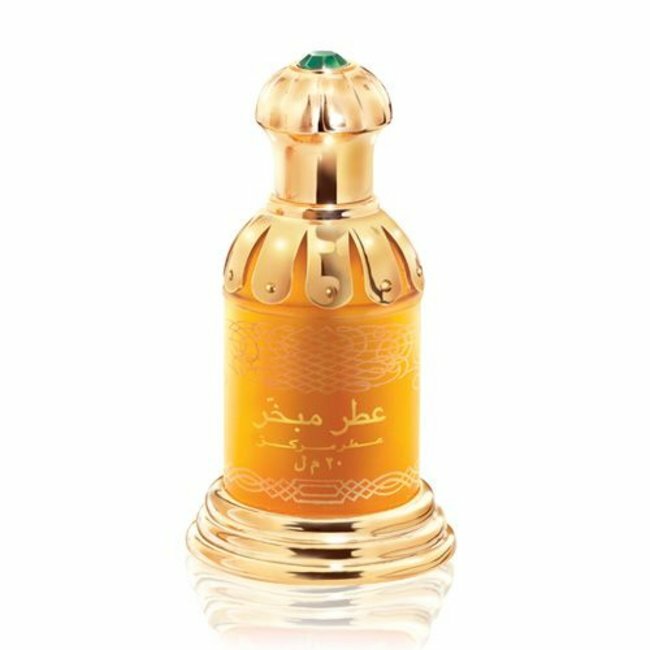 Perfume oil Dhaneloudh Al Nafees by Rasasi - Unisex, woody, ..
Perfume oil Arba Wardat by Rasasi - Feminine, fresh, floral,..
Perfume oil Afshan by Rasasi - Unisex, woody, floral, powder..
Perfume oil Attar Al Oudh by Rasasi - Unisex, vanilla, flora..
Perfume oil Attar Mubakhar by Rasasi - Unisex, Roses, floral..